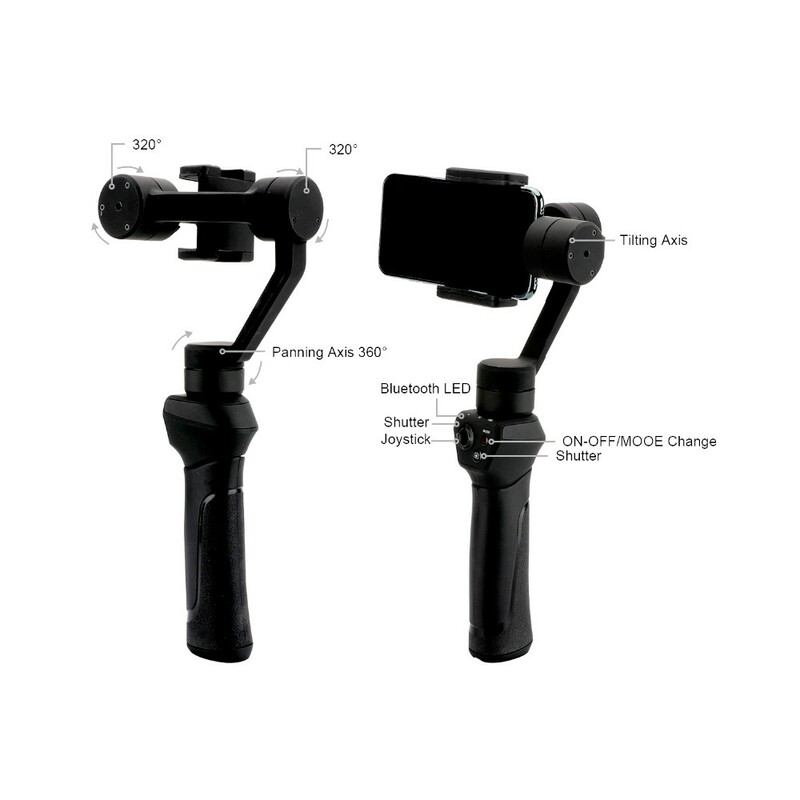 【Stable and Flexible】Eloam 3-Axis Gimbal Stabilizer SG6 is flexible to adjust the angle for taking photo or video as 320°for vertical titling axis, 320°for rolling axis and 360°for panning axis. 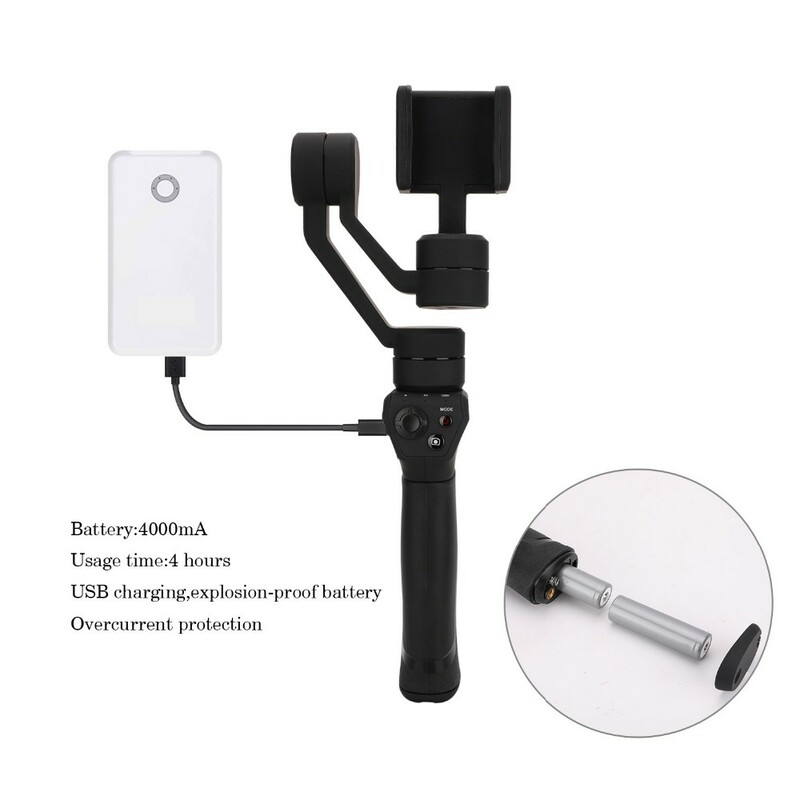 【Working Time up to 12 Hours】The 4000mA Li-ion battery of Eloam 3-Axis Gimbal Stabilizer SG6 enables 10-hour continuous ultra-long work time and the using time is 5-6 hours. Meanwhile, it is rechargeable by connecting to mobile power supply . 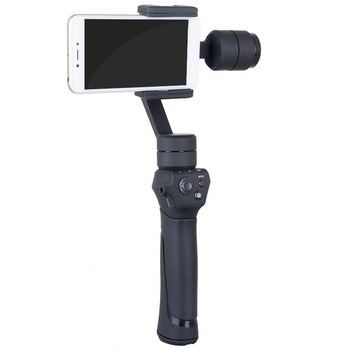 【Fashion and Light,Compact and Portable】 The net weight of Eloam 3-Axis Gimbal Stabilizer SG6 is only 360g which is light and portable and attracts more and more fashion people. 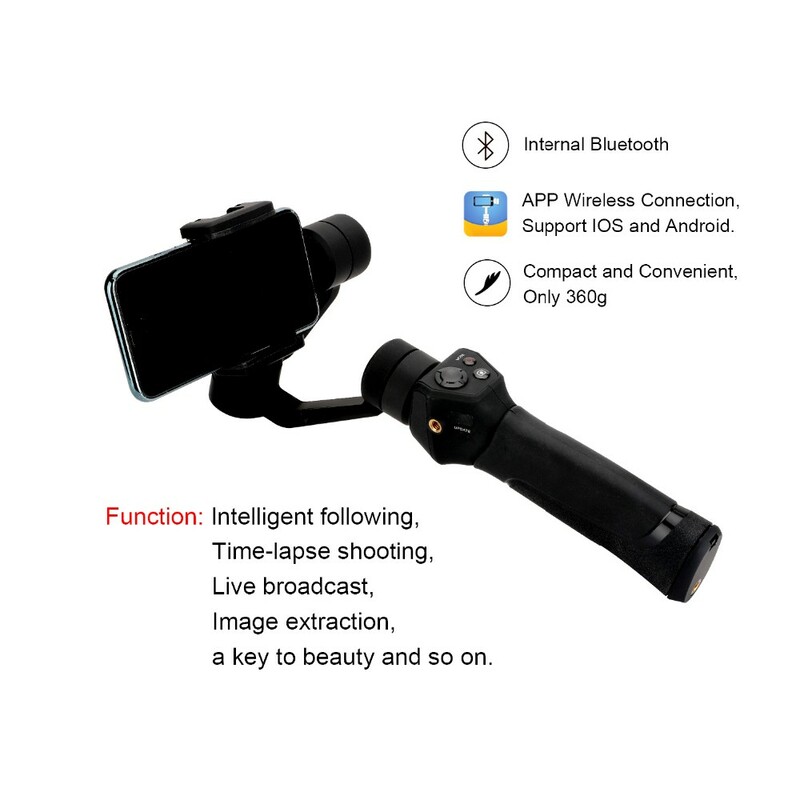 【Abundant of Function】 Eloam 3-Axis Gimbal Stabilizer SG6 has Buttons to Photo/Record, Zoom In/Out and Get Rear Camera/Selfie Mode Transferred. ‘Smartgimbal’ APP supports Auto-Tracking, Time-Lapse and Filter Options . 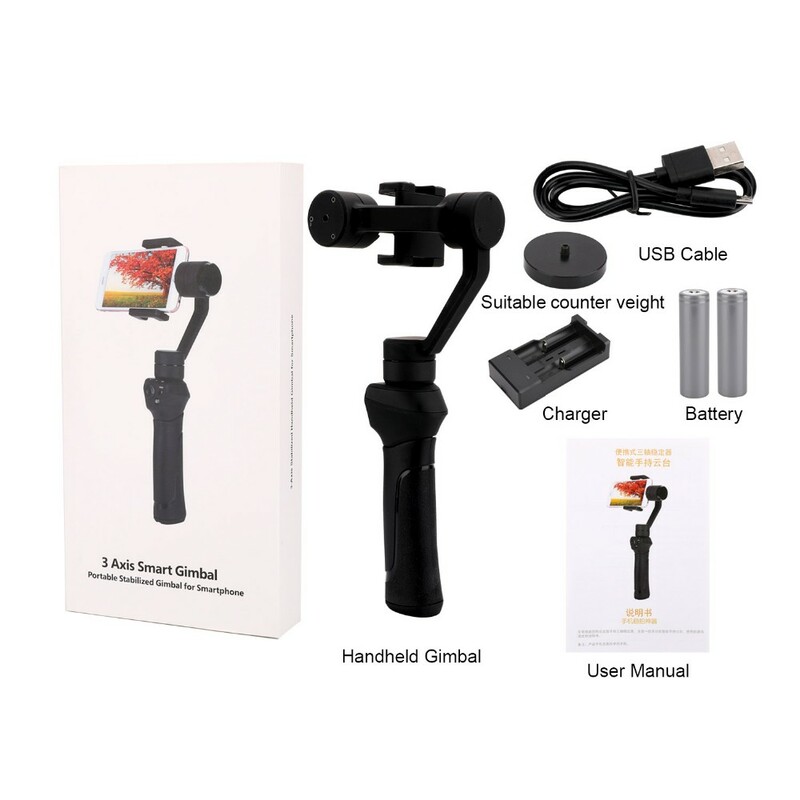 【Work with 3.5-6.1 Inch Cell Phone and Action Camera】Eloam 3-Axis Gimbal Stabilizer SG6 works well on motion camera like GoPro, DSLR,Sony,Canon,Nikon and smart phone like i phone X /8 /8Plus /7 7Plus /7S /7S Plus /6/6Plus/6s/6s Plus/Samsung Galaxy S8/S8+ /S7 /S6 /S5/Huawei and so on.For HEAVY phones or cameras, please balance well before power on . 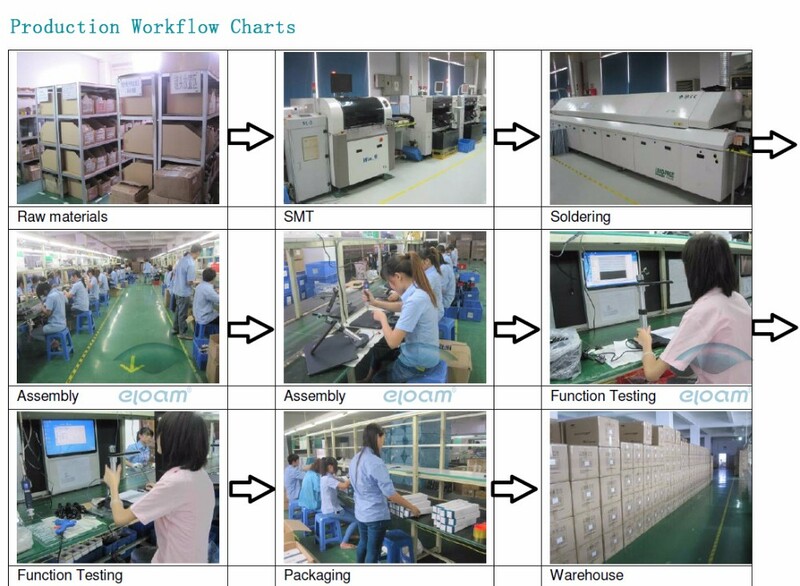 Shenzhen Shinyloam Technology Co.,Ltd. 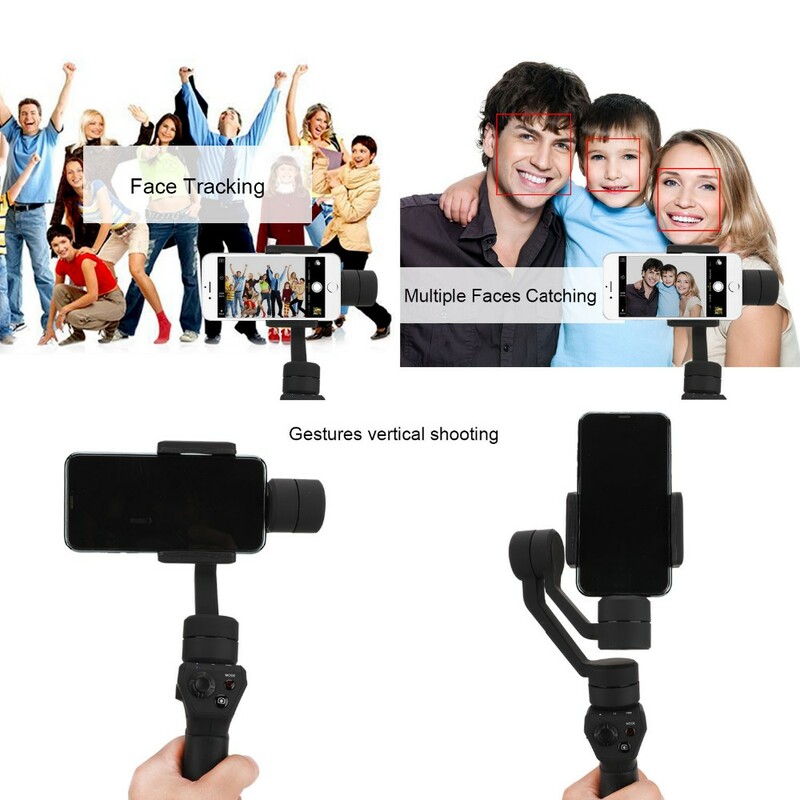 is a National High-Tech Enterprise specialized in designing and manufacturing 360-degree panoramic cameras, action cameras and gimbal stabilizers, which have CE and RoHS certificates. We constantly update models and develop new products. Providing every customer superior quality products at competitive price. Otherwise Shinyloam also is No1 manufacture in China of production High speed portable scanner , the High Speed Portable Doc Scanner with Independent Intellectual Property and Patents; was initially developed by Shinyloam , and has been widely used in government, finance, education, telecommunications, medical and many other fields. 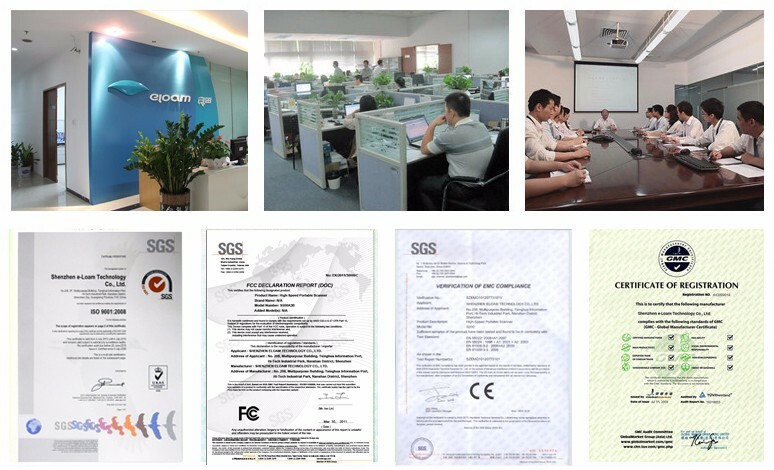 Shinyloam is SGS ISO9001 certified, and is a CE, ROHS, REACH, PAH,MIC, and 3C compliant manufacturer. 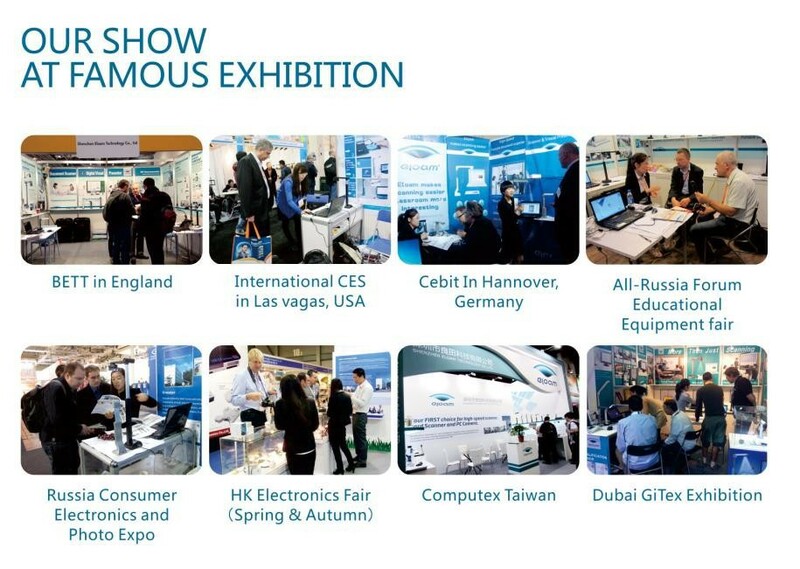 After a decade of development, Shinyloam products has been supplied in high volumes to more than 60 countries and regions in Europe, America, Mid East, Southeast Asia. 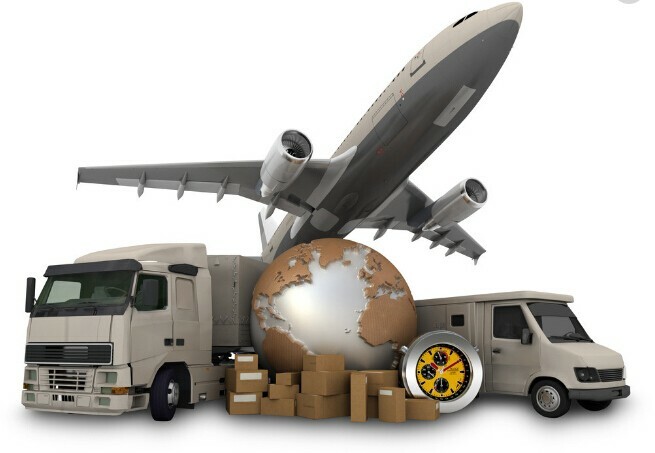 We have been successfully conducting both import and export activities worldwide for 10 years with suppliers and buyers. 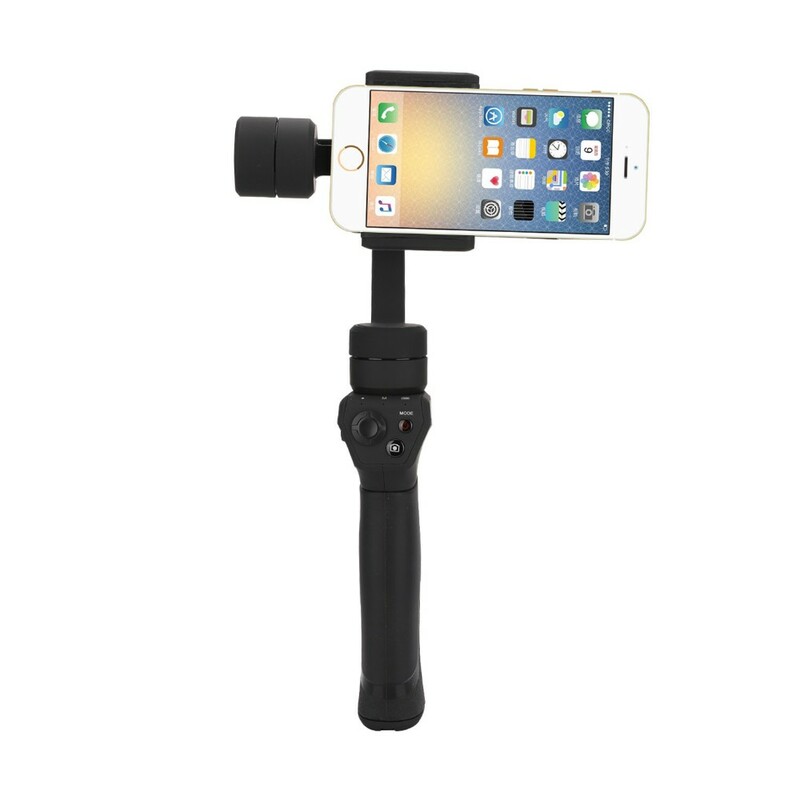 1.Q:What's the warranty of your gimbal stabilizer? 2..Q: How long can I get the sample? A: when we received the payment, the samples will be ready for delivery in 1-2 days. 3.Q: How much the shipping cost will be for the samples? A: The shipping cost is depends on weight and carton size, destinations and other relating factors. 4.Q:What's your usual payment term for orders? A:We accept terms of T/T, Paypal etc. 5.Q:Can we have our logo or company name to be printed on the products or the package?